The Nov. 12, 1978, game between the Los Angeles Rams and Pittsburgh Steelers was widely regarded as a Super Bowl preview. Playing for the Steelers that night was Rocky Bleier, whose inspiring story was well known. The running back had served in Vietnam, where he was wounded when an enemy grenade peppered his lower right leg and foot with shrapnel. Lucky to survive, though he lost part of his foot, Bleier returned stateside, rehabilitated his body, and returned to the Steelers just as they started their long championship run. He eventually won four Super Bowl rings with Pittsburgh, and in 1980, the NFL would cooperate with ABC in the production of a made-for-TV movie titled Fighting Back: The Story of Rocky Bleier. But on that night, on the Los Angeles Coliseum’s muddy turf, Bleier could do little. He carried the ball two times for seven yards, and the Steelers—who would go on to win the next two Super Bowls—managed a measly 174 yards on offense. The Rams defense, which employed future Hall of Famer Jack Youngblood and All-Pros Jim Youngblood, Fred Dryer, and Isaiah Robertson, completely shut down Terry Bradshaw, Franco Harris, and the Steelers juggernaut. But the Rams couldn’t get much going either. The game finally turned in the fourth quarter, when quarterback Pat Haden threaded a laser between two Steelers and into the hands of wide receiver Willie Miller. You probably haven’t heard of Miller. He was an undersize wide receiver with shifty moves, quick feet, and strong hands who played for the Browns and Rams. 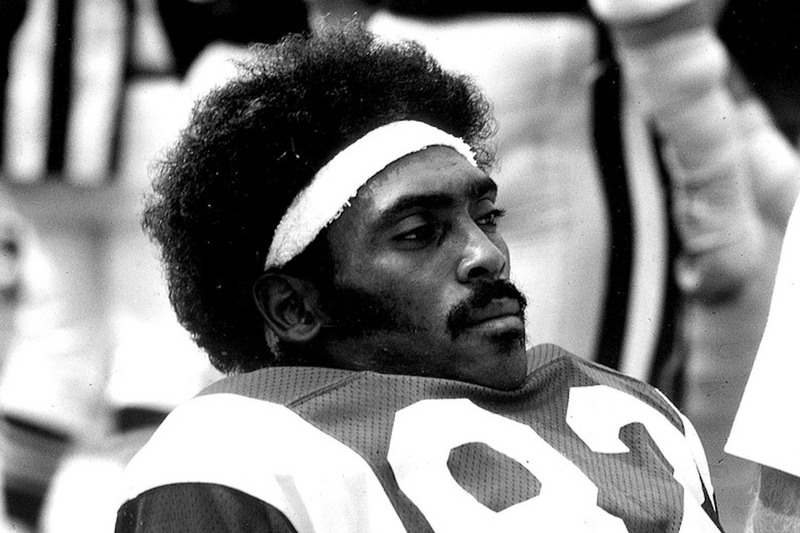 In 1978, he led the run-first Rams in receiving with 50 catches for 767 yards. His solid seven-year NFL career ended in 1982. Just like Bleier, Miller fought in Vietnam. And just like the white running back, the black wide receiver was wounded in combat (in Miller’s case, the bullet passed through the back of his thigh) and awarded the Purple Heart. Miller was a member of the Special Forces, and unlike any other NFL player, he voluntarily served two tours of duty in Vietnam, where he was awarded the Silver Star for his courage in combat. But nobody’s ever made a TV movie about Miller. And when the Department of Defense and the NFL celebrated “Players Who Have Served in the Military” in 2016, Miller’s experience went missing.